Want to take the kids out for lunch? With the summer holidays on our doorstep and six terrifying weeks of 'free time' to fill, the need for fun activities and full stomachs looms large. You'd be forgiven for thinking 'that' well known pizza restaurant is the only reliable option, but it’s not just the big chains that will accommodate the little ones. Here’s our pick of 9 much more interesting London restaurants where children will be made more than welcome. What better way to keep the children entertained over lunch than bringing bowling into the equation? 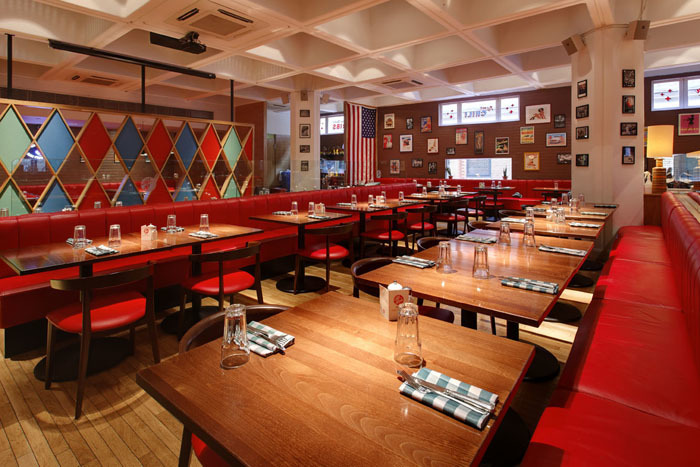 At the four All Star Lanes branches across London, a game of tenpin can be paired with good ol’ US diner-style dishes such as burgers, fried chicken, ribs and steaks. Special smaller main meals are £6.50 for all kids, while a main, a side, a drink, a dessert and a game of bowling can be bought together for £17.50. This Soho institution’s offering of pulled pork sandwiches, ribs, chicken wings, burgers and mac ‘n’ cheese will ensure neither adult nor child leave hungry. Or with a clean face. The best bit? There's a dedicated kids' menu that offers little rib nibblers the chance to delve into three courses and a drink for just £4.95. The starter and dessert are pre-determined (veggies and hummus, then ice lollies) but there are a range of meaty mains to choose from. Sign up to become a Q-Card holder and you'll receive a bunch of additional offers as well, including kids eating free all day on weekends. 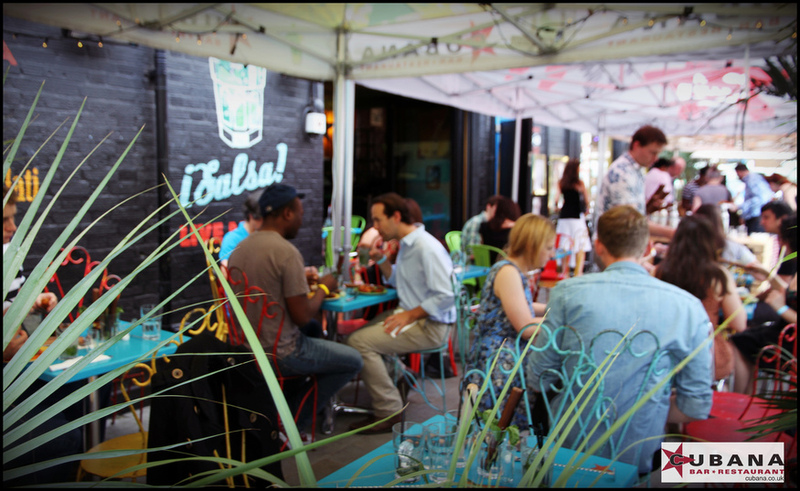 Though it goes into bar-mode of an evening, this fun, brightly coloured Cuban hangout near Waterloo station is perfect for the kids in the daytime. A dedicated kids’ menu offers a main and pudding for £7, along with a tropical smoothie or freshly-squeezed juice. The yummy homemade desserts will appeal to both big and little ones. If the children want to feel a bit more grown up, they can enjoy glasses or pitchers of mocktails; don’t worry, there’s no shortage of real cocktails for the adults. Mark Hix’s plush and moody Brewer Street restaurant wouldn’t be the first place that would come to mind to take a child. But given the chef himself has campaigned for better food in restaurants for children, it’s actually rather apt. If it’s pizza that the kids are craving then give either Homeslice a try, rather than the big chains. There’s no special menu, but given that pizzas arrive whole (and large) at the table for sharing, that’s not really a problem. Certain pizzas can be bought by the slice, too, which is perfect for those who aren't so fond of sharing. 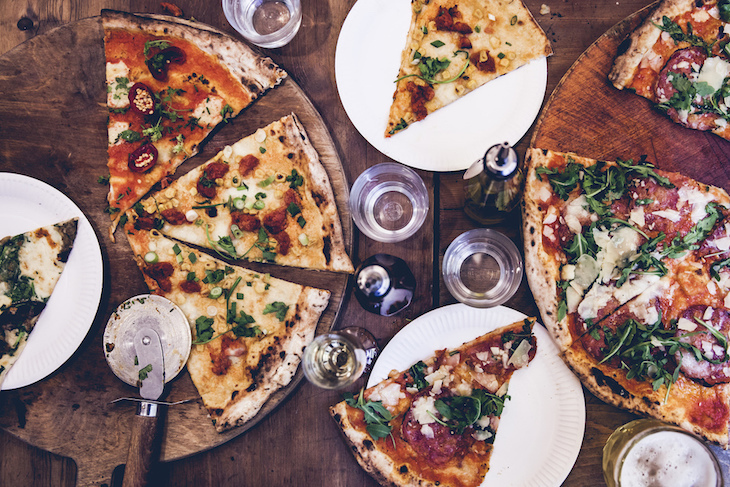 Children will no doubt enjoy being able to use their own pizza slice to cut and share out the pizza, as well as the fun of seeing pizzas go in and out of the busy ovens in the open kitchen. It’s informal, loud and bustling, so there’s no need for anyone to be too quiet either. Oh, and the pizzas are far better than those at the big chains, too. This small chain of informal Indian eateries is a firm favourite of ours for a cheap and cheerful meal that doesn’t cut corners on taste. Alongside classic curries, dhals and biryanis, choose from a selection of dishes inspired by the street food of India, such as bhel (a puffed rice salad) or aloo tikki chaat (a spiced potato cake). Or to keep choosing to a minimum, go for one of the thalis, a platter including bread, rice and a selection of mains for little over a tenner. Mini platters are available on the special kids’ menu alongside familiar favourites, with a main and dessert coming in around the £6 mark. Colouring books and crayons keep young diners occupied between courses. 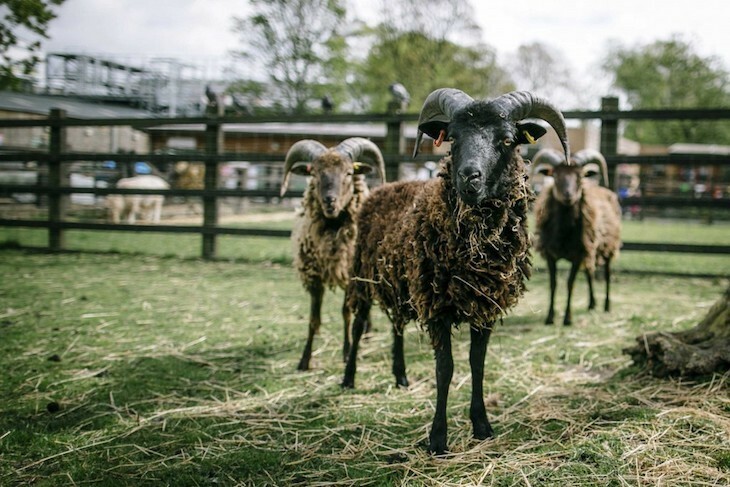 London’s city farms are ideal entertainment (and education) for children, and this one comes with a particularly appealing independently run café. It’s open 10am-3.45pm from Wednesday to Sunday. The daily menu is a simple assortment of sandwiches, pastries, cakes, toasties and the like, while daily-changing dishes dictated by what’s growing are the real highlight. Anything using the excellent laid-that-day eggs are always recommended, and smaller portions of just about everything can be made for kids, too. Stepney City Farm, Stepney Way, E1 3DG. There are also some lovely caffs at Hackney City Farm, Surrey Docks Farm and Mudchute Park & Farm. You’ll find celebrity chef Tom Aikens's casual range of eateries in Chelsea and Canary Wharf. He’s put together a special kids’ menu (may differ across venues) offering many of the same style of modern British classics that adults will enjoy, but in smaller portions. Breakfast options including eggs on toast and mini berry pancake, available 8-11.30am on weekdays and 10am-noon on weekends, dishes costing a reasonable £2-£5. Lunches from noon-2.30pm and dinners from 6-9pm come in at £8.50 for a mini-main and a pudding, with options including macaroni cheese, fish nuggets and mini burgers. Oh and ice cream, eton mess, fruit skewers or banana splits for dessert. Tom's Kitchen has locations in Chelsea and Canary Wharf. Any of the branches of this Mexican mini-chain will welcome little ones. They’ve even got a special kids’ menu offering smaller-portion mains, toned-down spices and a drink (hello, homemade hibiscus cordial) for £5.25. We also like the little extras such as scoops of ice-cream to finish from just £1.20. The bustling atmosphere means there’s no need to worry about a bit of noise, and the myriad locations are pretty handy too. If you’re shopping in a Westfield, checking out the Southbank or hitting the West End, one won’t be far away. 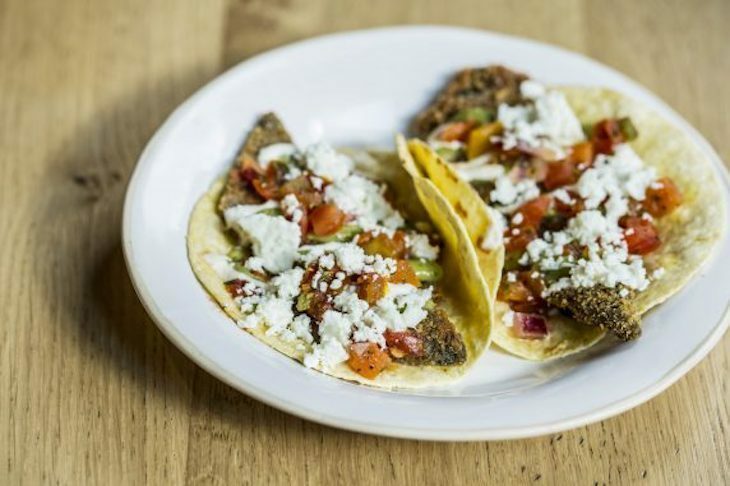 Wahaca currently has 18 locations across London, check out the website for the full list.